The Sarutahiko-no-kami. The role of these Kami are to guide the Mikoshi during the Summer Festival parade through the village of Kiso Mura. As one theory goes, it is said that these kami represents western people as they have big nose, big eyes, red and white faces, and blond hair. 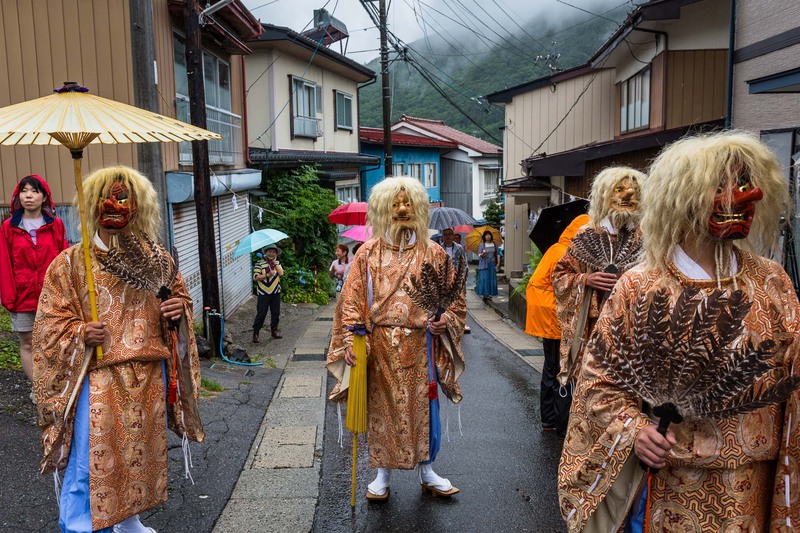 Sarutahiko-no-kami guides Mikoshi from the Yabuhara sanctuary, across the village and back to the sanctuary at the end of the festivities, Japan.